In our last Rethink Food post, we explored the benefits of a plant-based diets, which include better health and a lower impact on the environment. In this post, we share some tips to help you transition to a "planetary health diet" – that is, cutting meat and sugar consumption in half, while eating more plant-based proteins. For many, this might seem like a daunting task, but it doesn't have to be. In the video below, we talked to Torontonians who have or are making the switch to find out about the challenges they faced and tips for success. 1. Start slow. Why not start out by either removing meat from your diet one day a week (for example, by joining the Meatless Monday movement), the same meal every day of the week (e.g. breakfast), or removing one type of meat (such as red meat) entirely? 2. Ease into a plant-based diet by starting with foods you already love. You might already be eating vegetarian proteins such as veggie burritos and falafel wraps. A lot of people think that going plant-based means a completely new food vocabulary, but you can start by eating meals you're already familiar with. 3. Pack in the protein. One of the biggest concerns for moving toward a plant-based diet is where to find your protein, or worrying about a lack of diversity in your meals. However, there are a wide variety of plant-based protein options: legumes, grains, nuts, processed proteins like tofu and much more. Visit our Plant-based proteins Pinterest board for lots of useful information and recipes to help get you started. 4. Picky kids? No problem. If you're worried about transitioning your kids to a plant-based diet – do not fear! While kids are notoriously picky eaters, if you involve them in meal prep, or in growing a garden, they will be more willing to eat new foods. The more diversity you introduce them to, the more their palate will develop, and the less they'll be afraid of new foods. Hungry for more? Watch Eric's Story, part of our Rethink Food video series, as he talks about including more plant-based proteins in his family's diet. 5. Make sure you get the essential nutrients. Protein, iron, calcium, vitamins and other minerals are all important for a healthy body - and there are no shortage of plant-based sources of these. Meal planning is a great way to ensure you're getting everything you need. We hope these tips are helpful, and are excited for you to begin your new journey! 1. Participate in a live-stream of Food Planet Health: Toronto responds to a global call to action on Monday March 25 at 6pm. Follow the link and click "interested" or "attending" so you can get a reminder. 2. Join the conversation: share your tips for incorporating more plant-based proteins into your diet on Twitter by using the hashtag #RethinkFood. 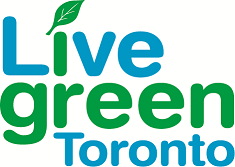 It's time to rethink our relationship with food – visit livegreentoronto.ca to find out how.